There are a multitude of options regarding car seats. Selecting the right combination or system for your needs can be a big task. It is ideal to consider your lifestyle when making the decision. If you are an active couple that likes to go for walks or jobs, a travel system may be the ideal option. For those that stay home more, a car seat is often the best choice. You have to take a variety of factors into consideration when selecting the right option for the family and baby. Of course, safety is the most important factor with functionality and comfort right behind it. A travel system, in regards to car seats, is an option where the car seat secures onto a stroller base. The stroller portion can fold down nearly flat to store in the trunk or rear compartment of your vehicle. When a stroller is not required, using a base or seat belts, the car seat portion can be used for safe transport in the car. There are several travel system options. Many parents find this all-in-one solution to be the most convenient accessory to have. Parents that have a budget to maintain may find that a travel system offers the right combination of functions to stay within budget. A Britax car seat is one option to consider as there are full travel systems to choose from. The stroller portion can be kept in the car at all times so that it is always available. Other than being budget friendly, a travel system is generally one less item to have to pack up. Struggling with a separate stroller is often a pain. All parents have to do with this option is to unattach the car seat and slip the stroller in the trunk area. A traditional car seat is a good option for parents that don’t plan to travel or go for many outdoor outings. Travel systems provide parents with the ability to go anywhere and take baby along. The decision of which option to purchase is ultimately yours, however, consider the convenience of a travel system or combination system. Some combination systems are able to be transformed for all stages of growth. Some technologically advanced combination systems transform from a car seat to a booster seat. As baby grows, their car seat needs change. This means a stronger base for the additional weight and taller backs. Consider the perks of both and combine it with your lifestyle to ensure that you have what is needed. 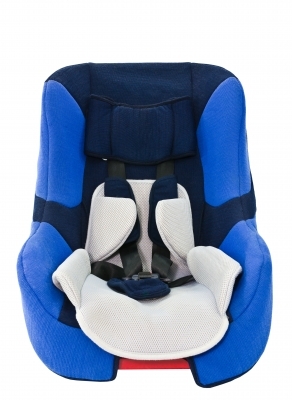 Safety is a big factor when choosing a car seat or travel system for baby. This is going to be one of the times in life where sub-standard just won’t cut it. Keep these safety features in mind. There is no compromising on safety, so make sure your car seat option meets your standards. As you bring home baby from the hospital, thinking of the future begins. This means considering what items he or she will outgrow and what items will suffice for a period of time. Car seats are generally good up to toddler age. Weight limits and size restrictions may require that you purchase a larger option as baby grows or reaches booster seat age. Consider options that grow with baby. Also decide whether a travel system, combination system or traditional car seat is right for your needs.